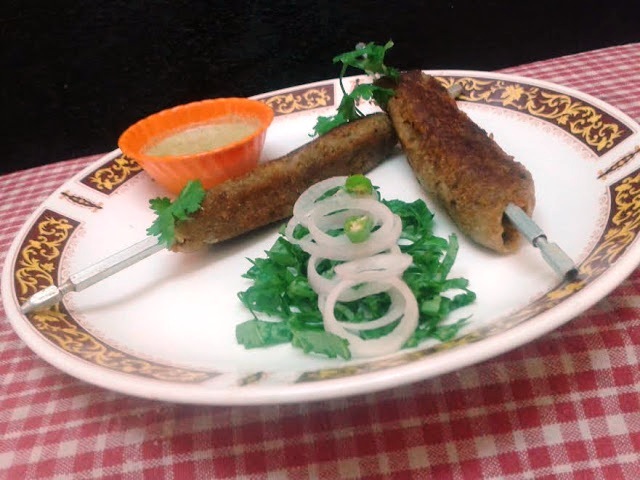 Delicious veg seekh kebab made by using bottle guard is my favorite kebab recipe. Usually veg kebab prepared with lots of vegetables and potato mixture. Here i am using bottle guard and potato along with spices and roasted chana powder. 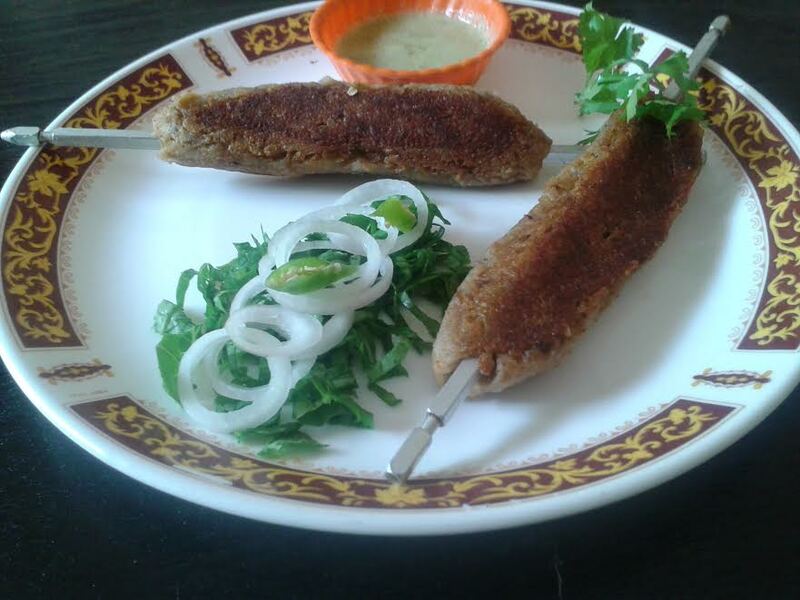 A delicious kebab is a great option for the vegetarians and best to serve with green chutney and tomato sauce. Peel, wash and grate the bottle guard, then boil with a glass of water for 5 minutes and drain the excess water, keep aside . Heat the ghee/clarified butter in a pan saute the ginger and onion. Add mava and lemon juice turn off the heat. Divide the mixture into equal portion, press the mixture on to a skewer . place the skewer on to non stick pan, shallow fry or pan fry the kebabs til golden brown. For binding instead of roasted chana powder gram flour or corn flour can be also used. नोट----यदि आप ओवन में बना रहे हों तो ओवन को १७०% पर पहले से गरम करें और फिर २० मिनट के लिए ओवन में इसे बनाएं। मसाले आप अपनी आवश्यकतानुसार डालें। बीच-बीच में तेल या घी लगते रहे ताकि इसमें नमी बनी रहे ,लौकी बहुत मुलायम होती है जिस कारण कबाब टूटने का डर रहता है इसलिए जब इसे ओवन में बनयाये तो ट्रे में ही रख कर बनाएं .